Daniel W. Greear shakes hands with Gov. Jim Justice during a press conference on July 2, 2018. 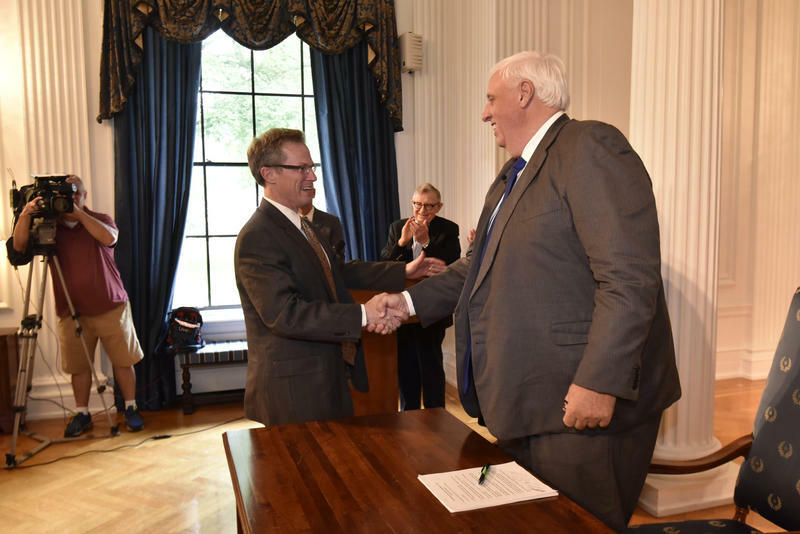 Stucky, who retired in April, spent 21 years presiding over cases in Kanawha County. Greear will serve until a judge is chosen by special election during the Nov. 8 general election. The special election is required because more than two years were left on Stucky's term.